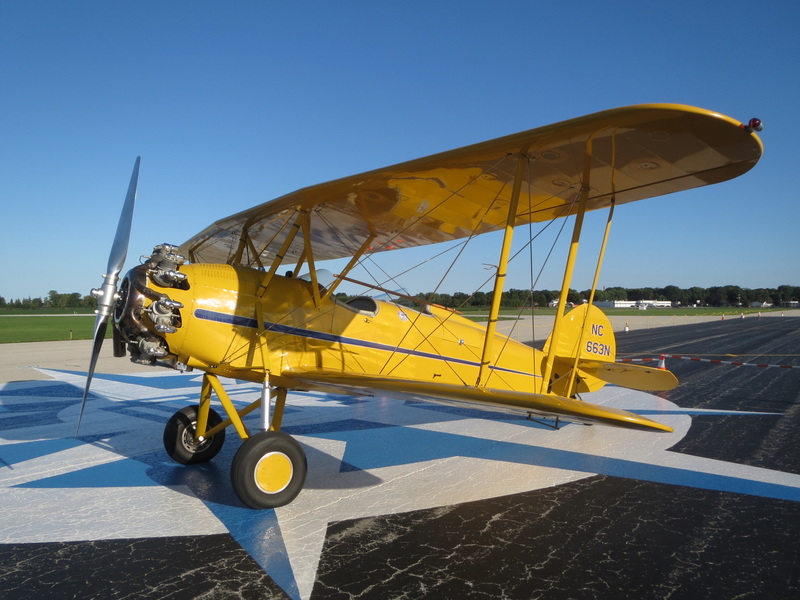 Our biplane holds two passengers who sit side-by-side in the front pit. The pilot sits behind. 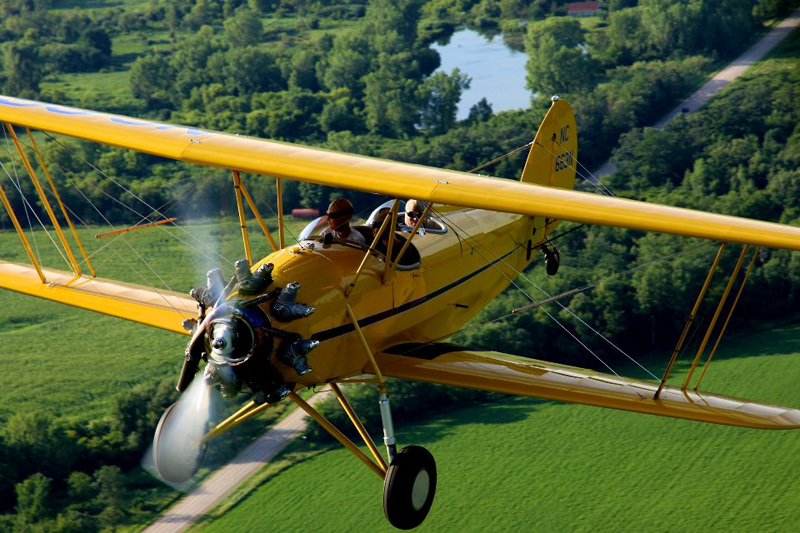 We offer a variety of flight options, choose a flight below or choose your own adventure. Please contact us to find out if we are flying today or to schedule your flight. Also, check our schedule here to fly with us at a festival or fly-in. Reservations are not necessary but recommended for longer flights and holiday weekends. ​​We are happy to accommodate your flying pleasures. If you would like to fly over your home or business, just let us know. Corporate teambuilding, employee appreciation parties, summer camp field trips, birthday parties and more. A "pattern" flight is generally staying right around the airport, either our home airport in Brodhead or at one of the other airports where we fly. This is a great flight for someone who is a little unsure about flying or just wants a taste of the open-cockpit experience. This is a full flight with some sightseeing out beyond the airport. With this flight, if you are up for it, we can do some light, non-aerobatic maneuvers so that you get more of the feel of this special biplane. Or we can keep it gentle and smooth. The flight is yours! 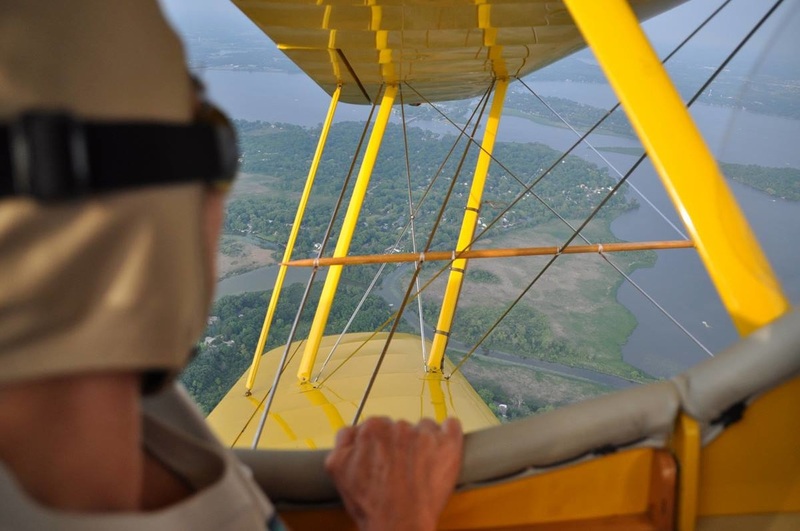 This flight includes everything described above in the Biplane Experience plus additional sightseeing to see a wider area. This flight includes everything described above in the Far & Wide tour plus additional customization, such as extra passes over your home or business. 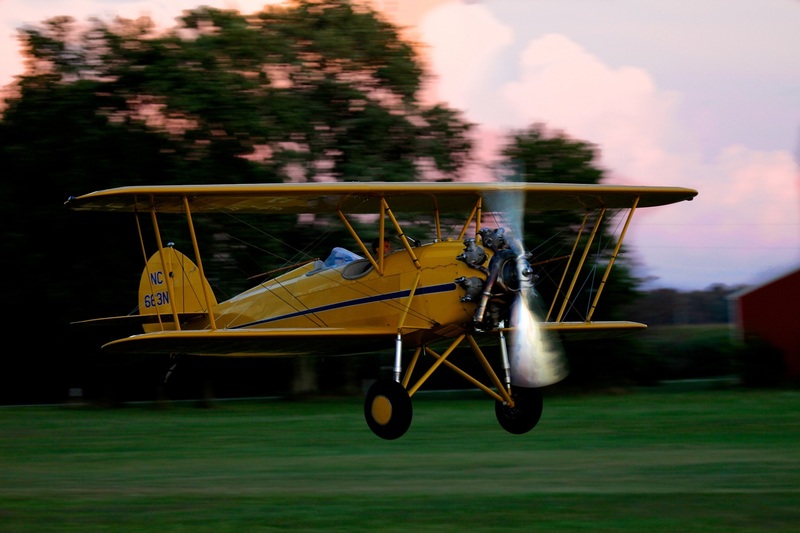 Add Aerobatics for an additional $100 to any flight 20 minutes or longer. Aerobatics flights are for one passenger only and typically need to be reserved in advance. Please contact us for details. Available through the end of October for single passengers, pairs, or larger groups. Available through the end of October for large groups or corporate events. We may be able to travel to other airports for large groups or events depending on the runway conditions. that is the maximum wing-load for standing on the wing to climb into the front cockpit. The two-passenger weight limit is 400 lbs combined because that is the maximum front cockpit load. This can seem a little confusing. Please contact us if you have any questions. ​weights permitting, who would like the same type of flight. *The full fare (fare for two passengers) is discounted $20 for single passenger flights. We can make your next event unforgettable. Call us to plan a private party or corporate team-building event. 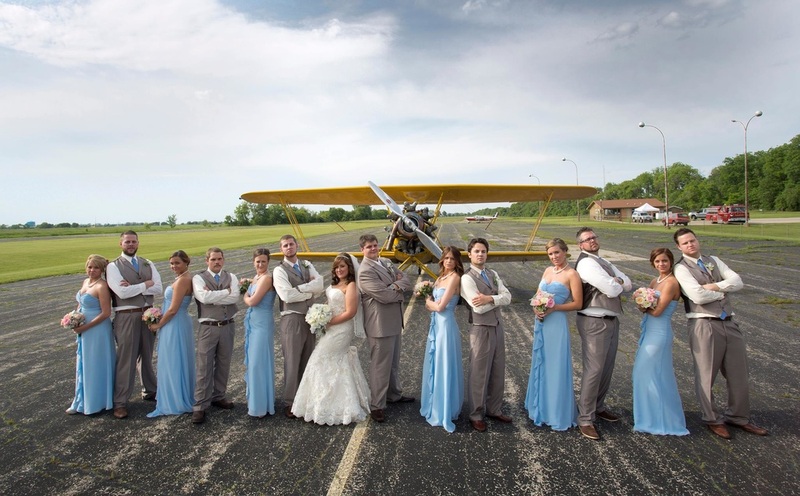 We typically recommend flying from Brodhead Airport, WI for large groups but we can also find an accommodating airport near you, give us a call. ​We can fly up to 8 people per hour depending on your desired length of flights. If you have a very large group event – we can cover that, too - by bringing our barnstorming friends along with their vintage planes. Please check out the online store for more gift certificates and Gypsy merchandise.